Black Rhodium Twist Speaker Cable comes in a pair terminated with gold plated Z-plugs and cuts the cost of enjoying your music. Black Rhodium Twist Speaker Cable is terminated with high-quality gold plated Z plugs which offer a secure fit for an improved connection. To create Twist, Black Rhodium have taken out all the expensive bits of their top-of-range Ninja such as DCT, silver plating and heavy gauge wire but kept in the three key design features. 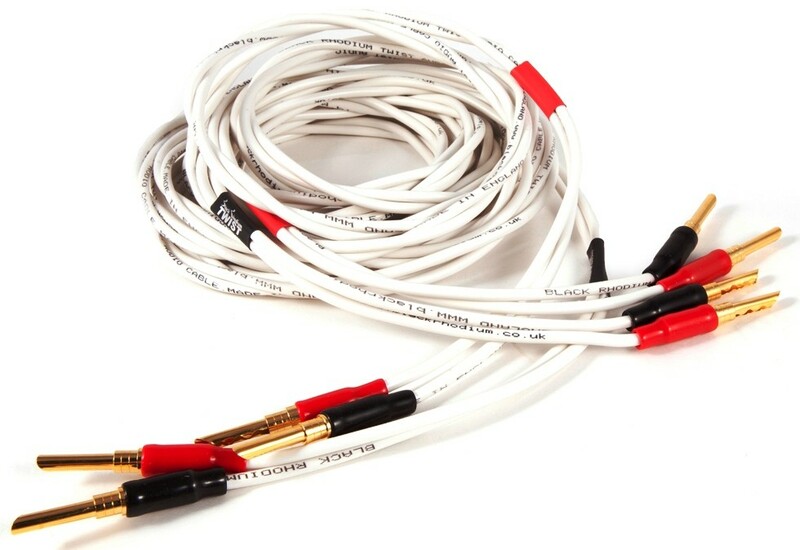 Black Rhodium tested Twist against their Rumba cable, which it effectively replaces ensuring improvement in sound that takes the music further out of the speaker boxes. 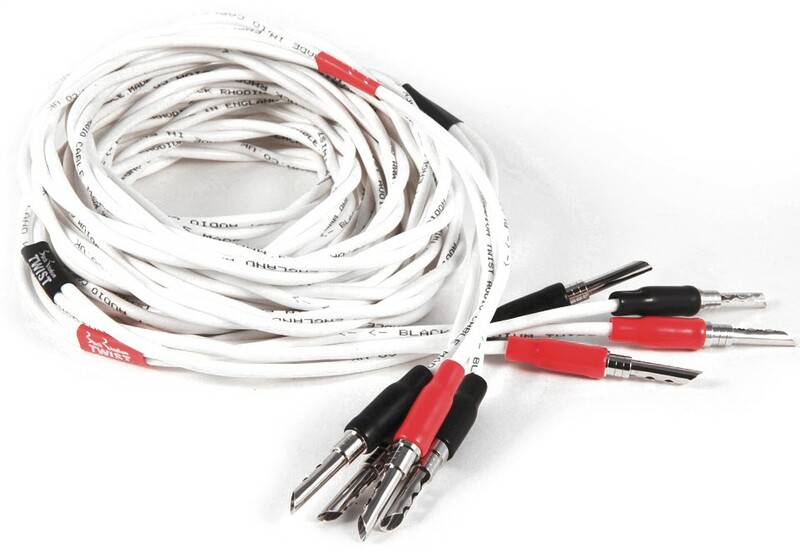 Twist has double the insulation thickness compared to previous BR speaker cables to deliver a more natural sound. It features the same high flexibility and smooth outer surface that made Rumba ideal for installation work. Twist is priced with wallets in mind. Where a high-quality speaker cable is required without breaking the bank, Twist is the must have upgrade to the sound of your system. The advanced quality control of the wire direction during manufacturing ensures consistent superior stereo imaging and low background noise.